Last week I shared the sites of St. Augustine and The Players Championship. 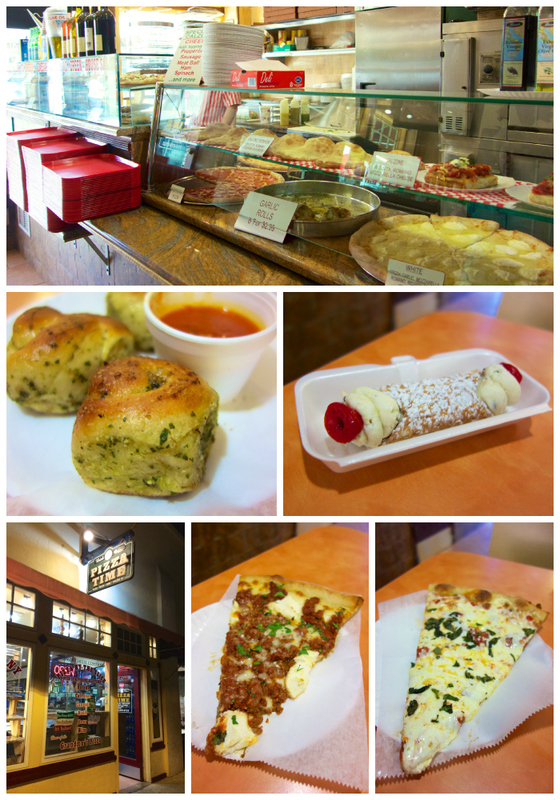 This week I am going to share all the places we ate on our trip! 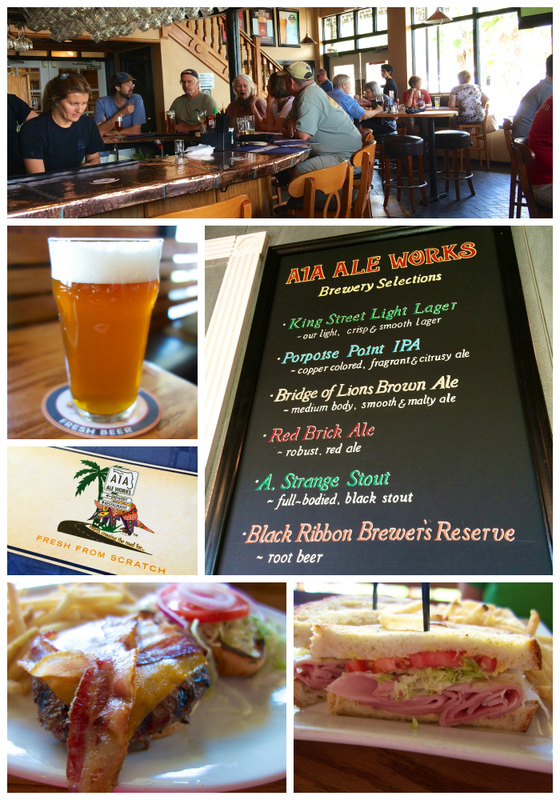 A1A Ale Works is located across the street from the Scenic Cruise. We've walked past it several times, but we never went in. Well, we finally took the plunge and ate lunch here. YUM! It was great. We sat downstairs in the smaller bar area. There is a huge restaurant upstairs with outdoor seating. I got the bacon cheeseburger. It was HUGE and delicious. My Mom got the ham and brie sandwich. We both got fries with our sandwiches and they were really good. They were skinny, crispy and perfectly seasoned. We tried the Porpoise Point IPA - I felt like we had to try at least one beer since they were a brewhouse. It was good. It was citrusy and had a floral aroma. 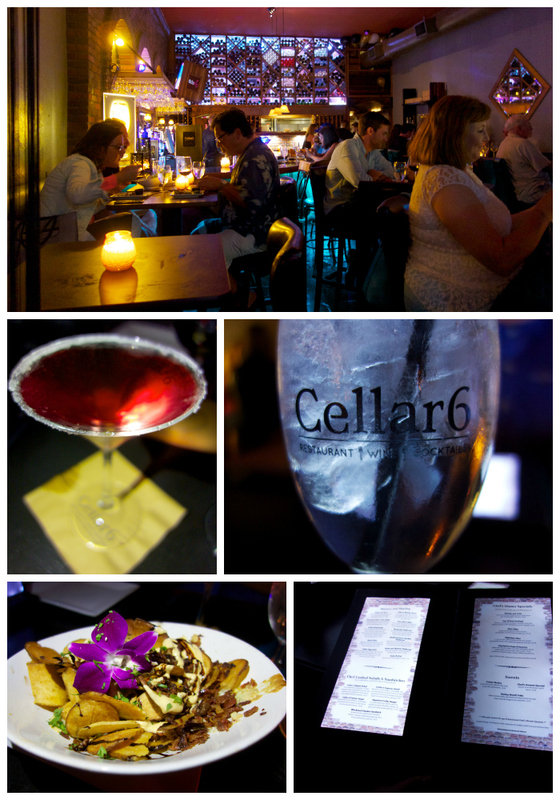 Cellar 6 is a relatively new restaurant in downtown St. Augustine. We had dinner reservations at 8:30. We arrived a little early and were promptly seated. The menus are cool - they are backlit. It is super dark inside the restaurant, so that was a good thing. The Good - the drinks. Very good martinis and sangria. The Bad - the extremely long wait time for food. We ordered bleu cheese chips with our drinks and it took an hour and a half to get them. The waitress said the kitchen was really small and they were doing the best they could. We cut our losses, paid for the drinks and chips and headed next door to eat. 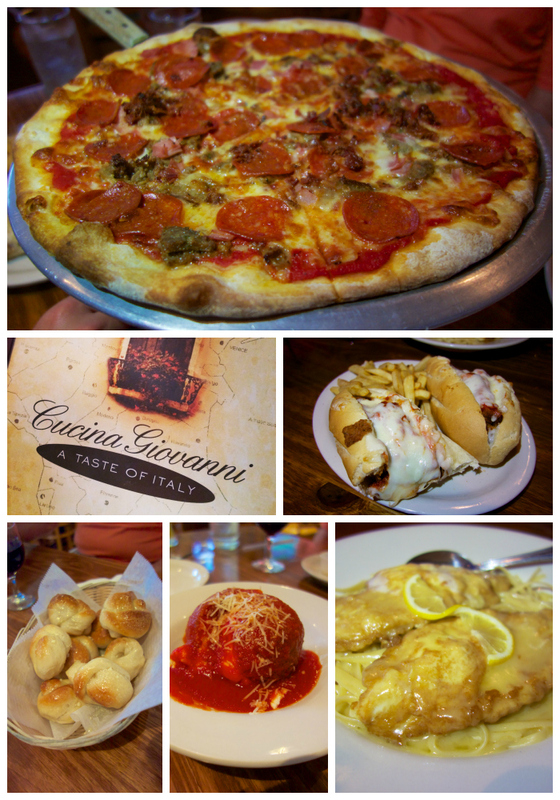 After the disaster at Cellar 6, we headed to Nonna's Trattoria. I told them we had waited an hour and a half next door and we needed to eat something fast. The owner overheard me and said he would take care of us. He walked us through a passage way over to Centro. 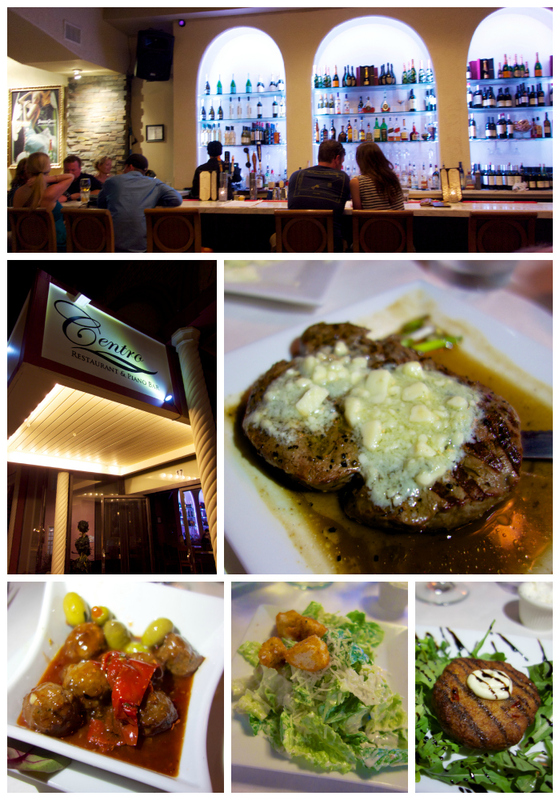 Centro is the sister restaurant to Nonna's Trattoria. He sat us down and told the waiter that we were VIPs and to take care of us. Boy, did they ever! We ordered several tapas since it was almost 10:00pm. The meatballs came out within minutes. Next came a Caesar salad, followed by crab cakes and blue cheese steak. It was all delicious. We are definitely planning on coming back next time for a full dinner. We could not have been more impressed with the service. They saved our evening! I got multiple recommendations on Instagram for Cousteau's. My Mom and I went for an afternoon snack. They have so many choices! We settled on the Plimpton - blueberry compote, local honey, and whipped cream. Um, YUM! It was crazy good. They also have "Wonuts". Little waffles dipped in icing and then topped with various toppings. I got a Butterfinger Wonut for Chicken Legs'. He loved it. We didn't try a milkshake. We contemplated eating milkshakes for dinner one night! They have lots of delicious choices. We will definitely get one next time. Pizza Time is located on St. George Street among all the shops. You could easily pass it without giving it a second thought. That would be a HUGE mistake. The pizza here is crazy good. The interior is just like you see in NYC. They have lots of choices. I got the Lasagna pizza. My Mom got the Margherita pizza. We got an order of garlic rolls ( I could have just eaten these as my meal). Since we were sampling everything, we had to get a cannoli. It was all delicious! The restaurant is super clean and everyone was very nice. I will be back! 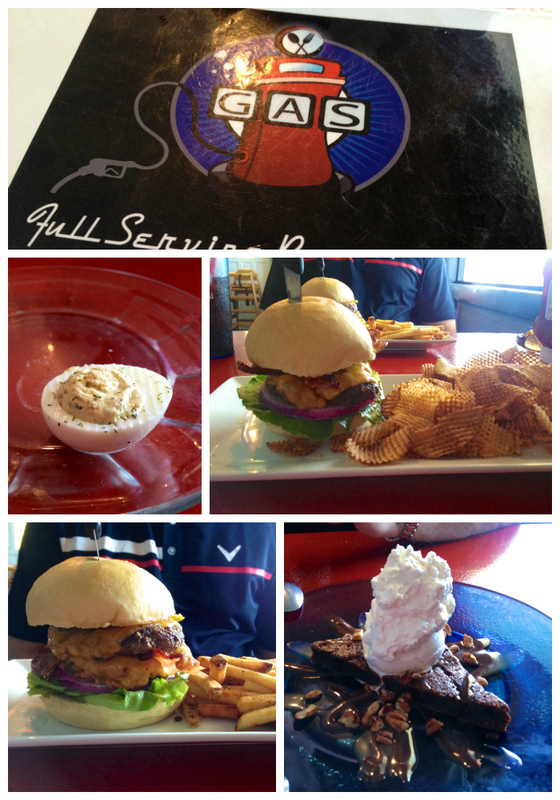 Gas Full Service Restaurant is a Diner's Drive-Ins and Dives type place. It is located in an old gas station (hence the name). Gas uses local ingredients in all their food. They have lots of great specials, but we both went with burgers. I got a small burger (one patty), Chicken Legs got a big burger (two patties). They were delicious. We finished off the meal with a hot fudge brownie. YUM! 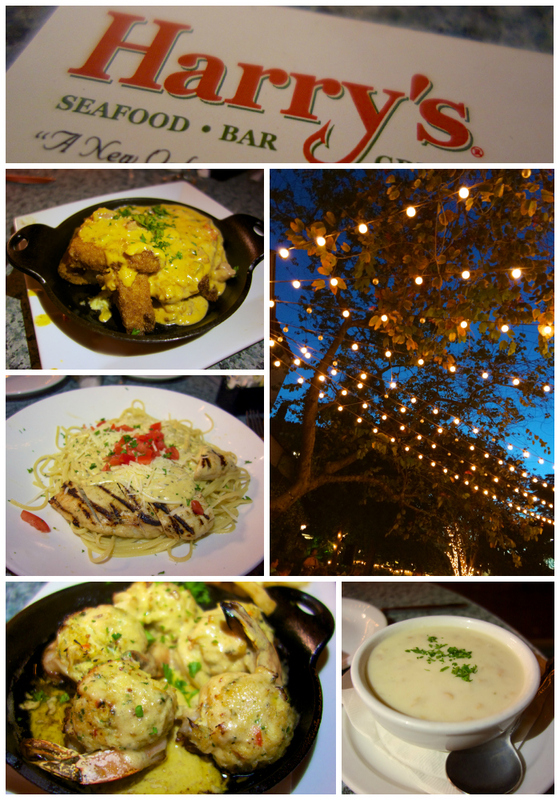 Harry's is one of my favorite spots to eat in St. Augustine. I love to sit outside and listen to the music while we eat. Harry's is a cajun style restaurant. Our visit started off rocky. They gave our table away twice! We watched them seat other people as we walked up. (They have multiple people seating the parties.) Thankfully, it got better once we finally got a table. We started with the grit cakes - they are smothered with tasso ham cream sauce. I got the chicken pasta. Chicken Legs got the stuffed shrimp. 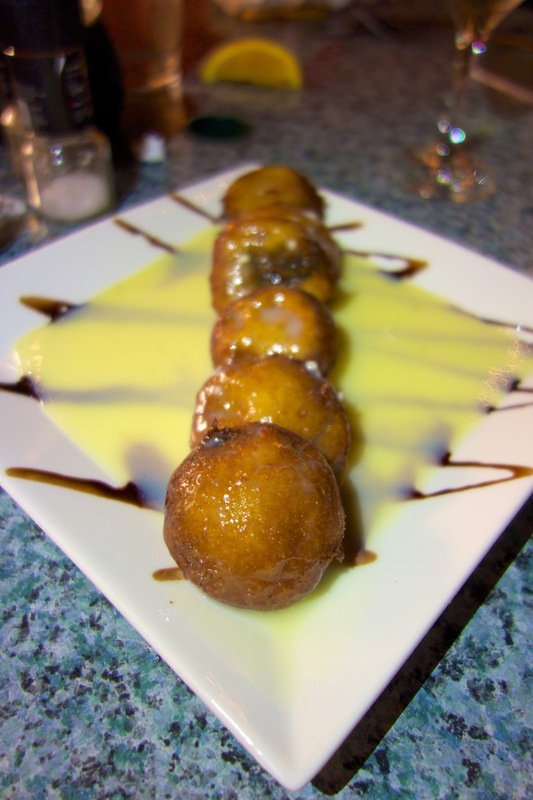 We finished the meal with an order of Fried Oreos. O-M-G! 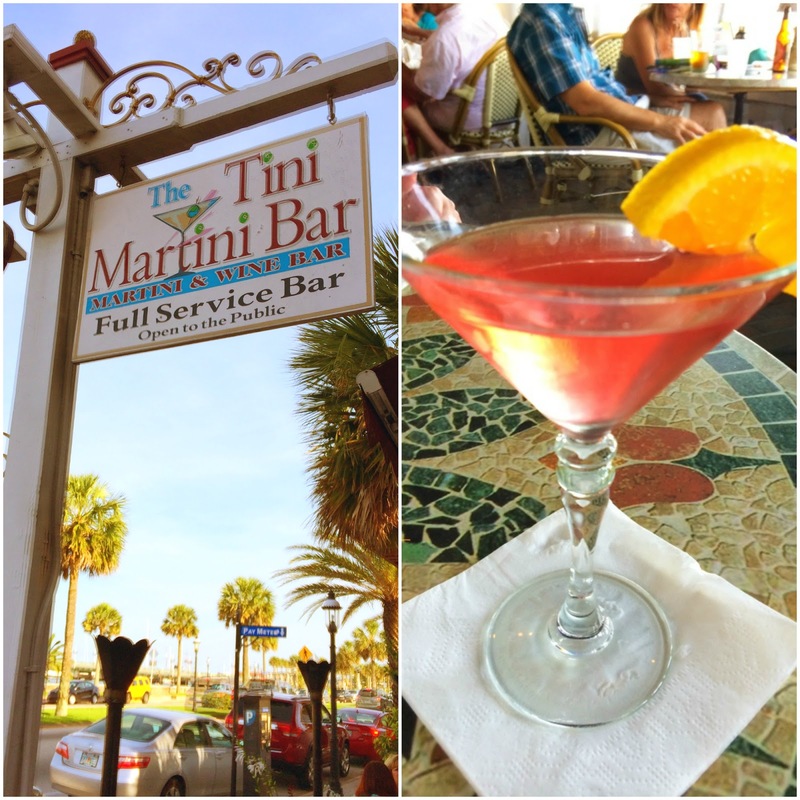 The Tini Martini Bar is our favorite drinking spot in St. Augustine. It is located outside the Casablanca Inn - right down from Harry's. They have a great martini list and wine selection. We come here every night we are in town! I would say that O'Steen's is an institution in St. Augustine. It is located across the bridge on Anastasia Island. 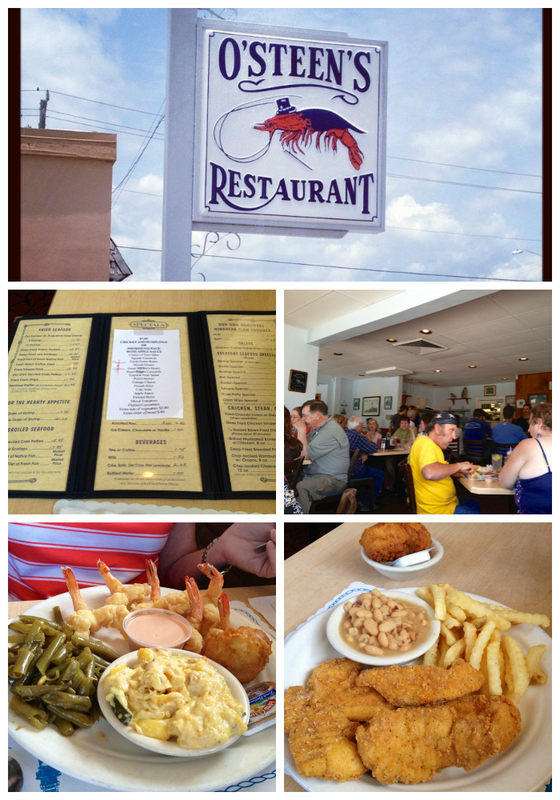 It is another "Diners, Drive-Ins and Dives" type place. Go early and plan on waiting. The line is usually out the door. I got the chicken (shocking, I know). My Mom got the fried shrimp. It was all great. Yummy fried goodness. 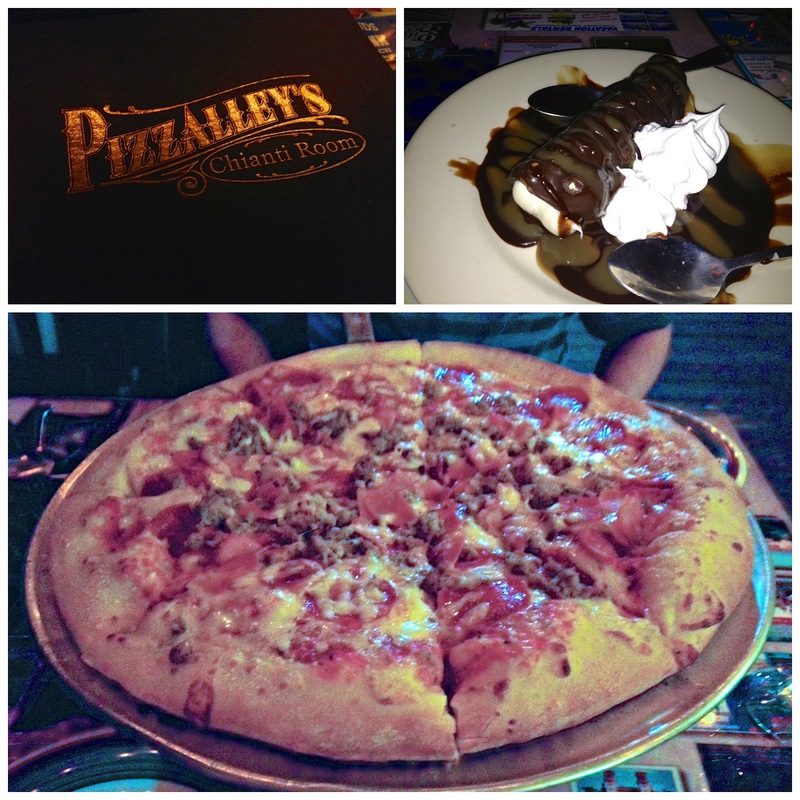 Pizzalley's is located on St. George Street. It is a full service sit-down Italian restaurant. Chicken Legs and I split a pizza. There was only one size pizza - it was huge! It was really good. I loved the crust. We finished the meal off with a chocolate cannoli topped with caramel and whipped cream. Giovanni's is located near the World Of Golf. We usually eat here on our last night in town. We ate on the bar side this time. Chicken Legs' and I started off with the Supreme Rice Ball - a fried risotto ball stuffed with meat and peas. I got a pizza - SO good. I wish I could have eaten the whole thing! Chicken Legs' got the Chicken Parmesan sub. It was HUGE! My parents split the Chicken Francese. 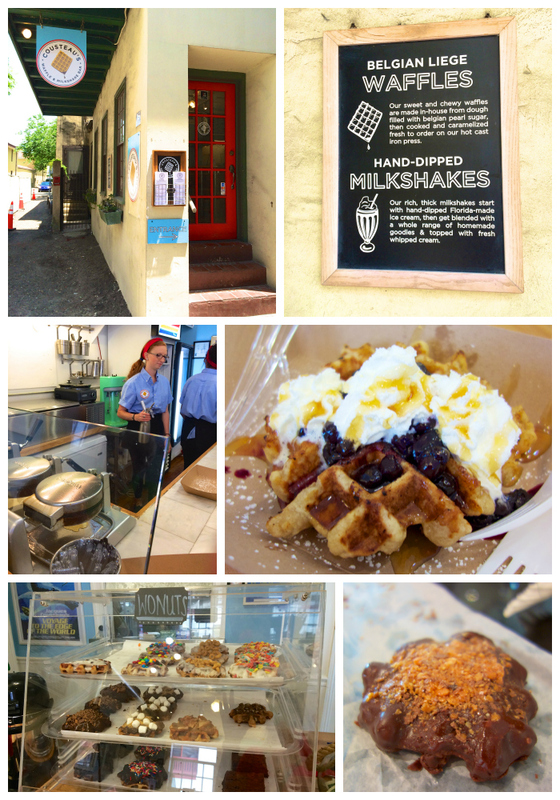 So, there are all the spots we have eaten at in St. Augustine. Click on the bolded orange words to check out the websites of all the restaurants. The only bad experience was at Cellar 6. They have a lot of potential, but a lot of work to do if they are going to succeed. What are your favorite spots to eat in St. Augustine? I live 45 minutes from St. Augustine and have never been to any of these places, so thanks for the tips. I'm going to pass this along to my brother who lives there and loves to eat out. He's a chef, so his main idea when eating out is to critique and find ideas he'd like to try. Oh my gosh! I need to go to St. Augustine just so I have have Wonuts!! They are worth the trip! We are heading to Ponte Vedra in a couple of weeks, and plan a day trip to St. A. Thanks for the tips! It ALL looks good!! Make sure to check out the post from last week on what to do in St. Augustine! I LOVE the scenic cruise. Florida Cracker on George Street for Oyster Po' Boys eaten outside on a picnic table. I'm from Cincinnati, but make sure every trip to Florida includes my favorite. I walked past FL Cracker. I will add it to the list to try next time. I've only been to St. Augustine's once, and ate at Aunt Kate's on the recommendation of an acquaintance. It's out of the way, but well worth it! DELICIOUS, and the wait staff was phenomenal. One place that we are looking forward to is Gypsy Cab Company if they are still open. We had a few great dates there 20 years or so ago. We love Cap's on the Water. It's especially great for lunch. We had a terrible time at Harry's last time we went. Our food took as long or longer than your experience at Cellar 6 and we had our two small children with us. My mom loves Gypsy Cab Company and a tiny little Italian restaurant called La Strada.